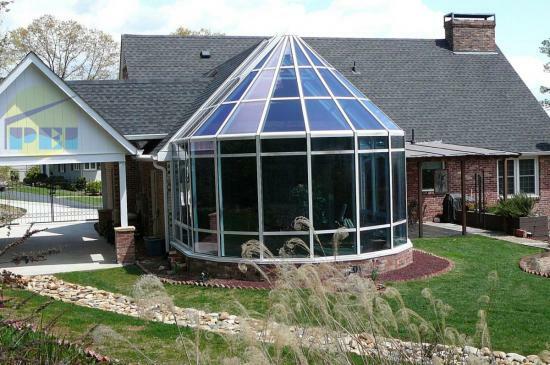 Pool Enclosures, Inc. manufactured this 24' x 42' conservatory style swimspa enclosure with a connecting walkway. 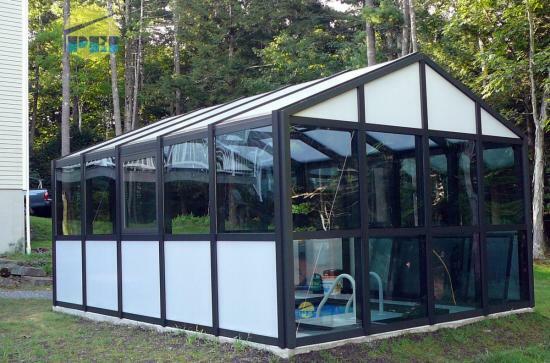 A 13' x 19' Pool Enclosure, with 7' x 10' exercise pool. 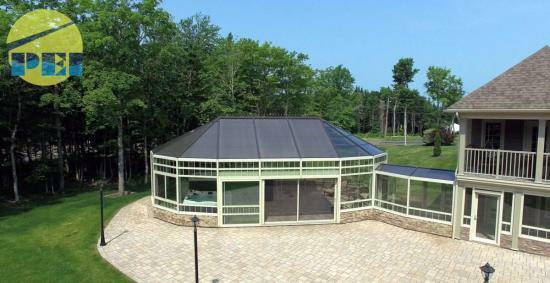 Interior of Segmented (or faceted) Style Swim Spa Enclosure with fixed high performance insulated tempered glass walls and roof. Water aerobics are great, low-impact exercises for your exercise swimming pool. 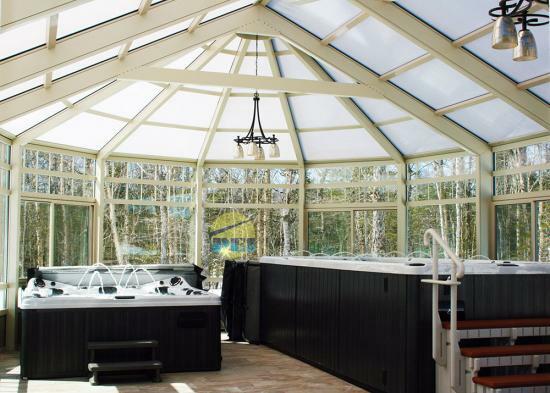 You can use your swim spa for a variety of water training exercises, making swimming pool spas the perfect aquatic fitness centers. Aquatic exercise offers a stress-free mode of hitting all major muscle groups, not to mention the cardiovascular and respiratory systems, in one workout - making it the perfect exercise for people of all ages and interests. Benefits of aquatic exercise include Circulatory System benefits due to increased muscle contraction and aerobic activity, which causes the heart to work more effectively. 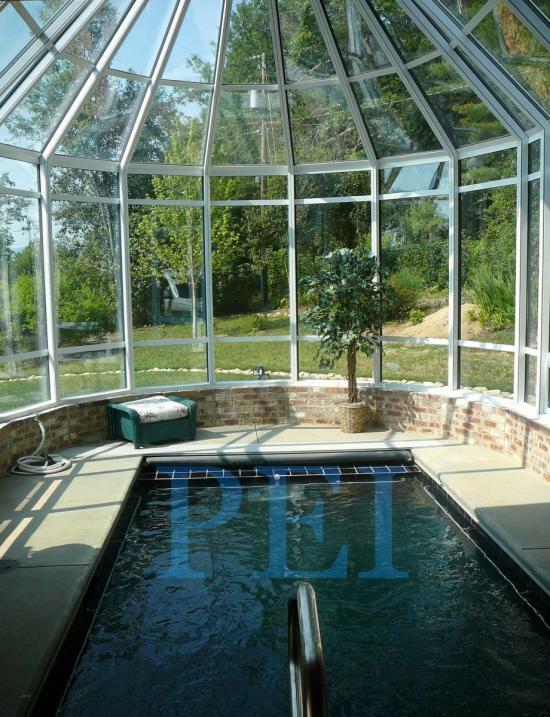 PEI also manufactures and installs custom natatoriums, spa enclosures, solariums, skylights canopies and porte-cocheres.